that adorn favorite ornaments. The feathered set is part of the charm. They bring a smile as they appear at the end of the slow walk through the woodland . 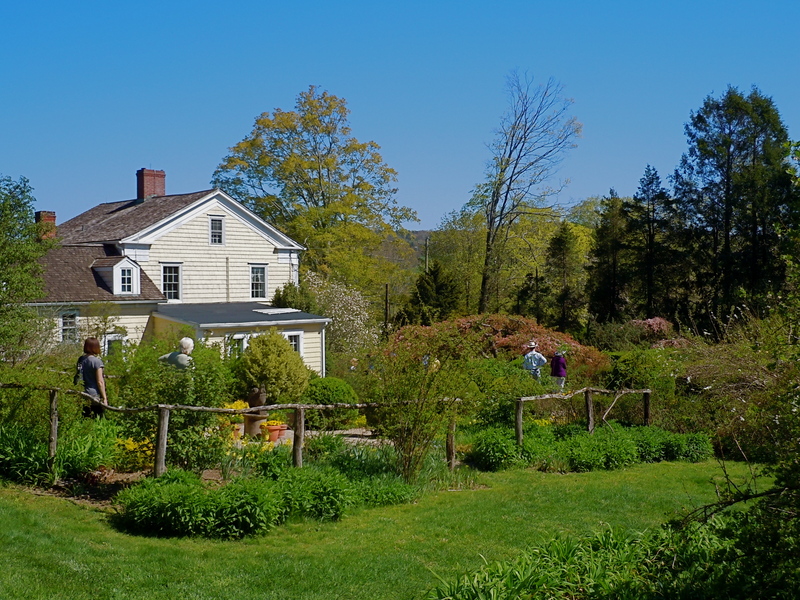 If you missed today’s opening of Duck Hill, mark your calendar, and bookmark the Garden Conservancy, because you will have another chance in June to view this special place…as another layer unfolds! 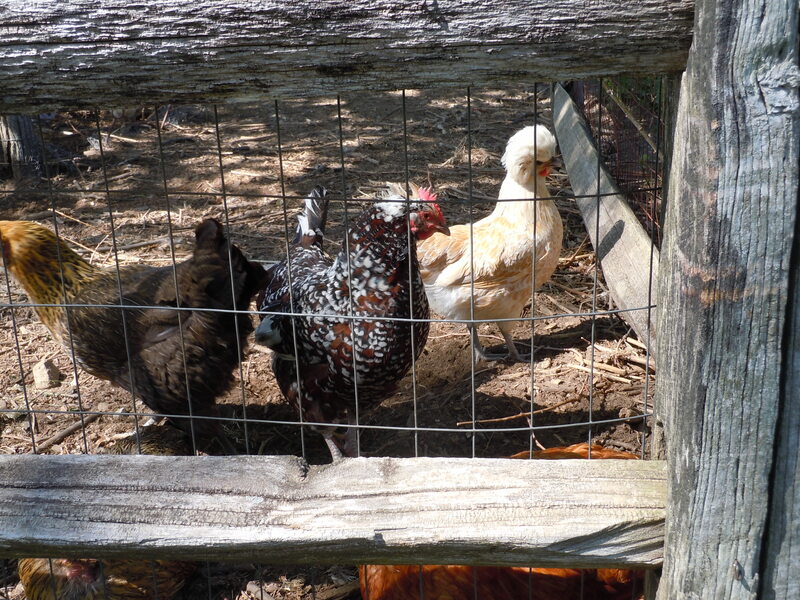 This entry was posted in Uncategorized and tagged Duck Hill, feathered friends, flowering trees, The Garden Conservancy. Bookmark the permalink. 8 Responses to Open Days! Gardens! Not familiar with this garden. Looks like it is definitely worth the visit. 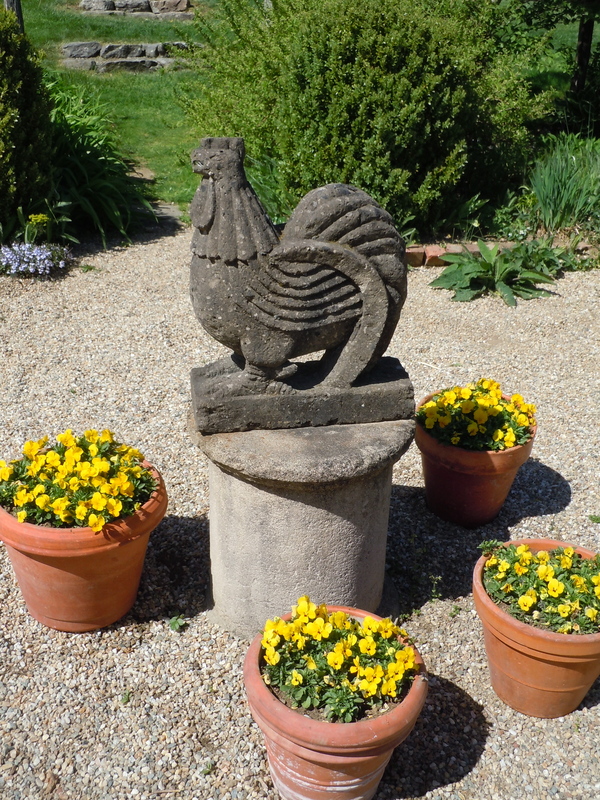 Love the chicken statue (I have one too!) and the white trillium. 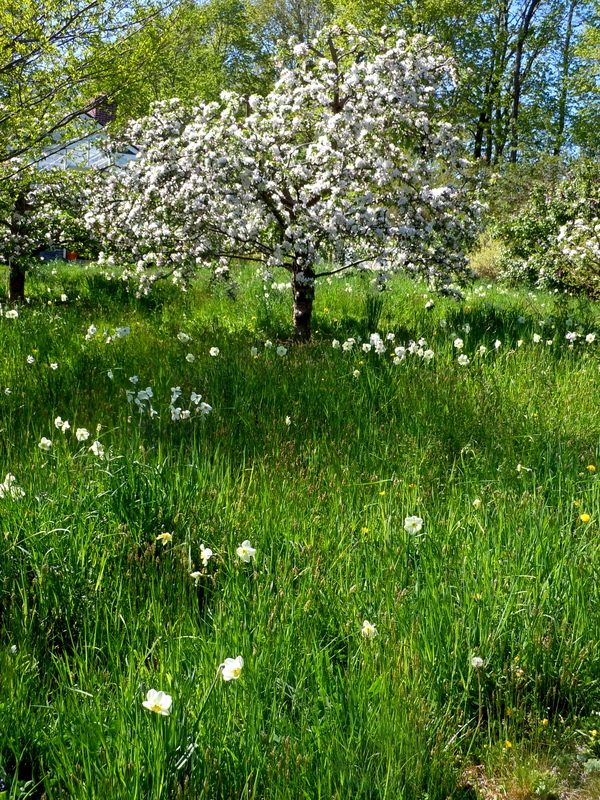 What a lovely garden and such a blue sky to set it all off, your first photo is enchanting! Garden visiting is such fun and so inspirational, I love to visit whenever I can as I always come back inspired by something, a combination of plants or something like the beautiful Trillium you showed us, I’m sure it would like to live in my woodland. Oh Holly, that is a long time to wait. Judging from your garden photos there should be some garden tours in Spring too!!! 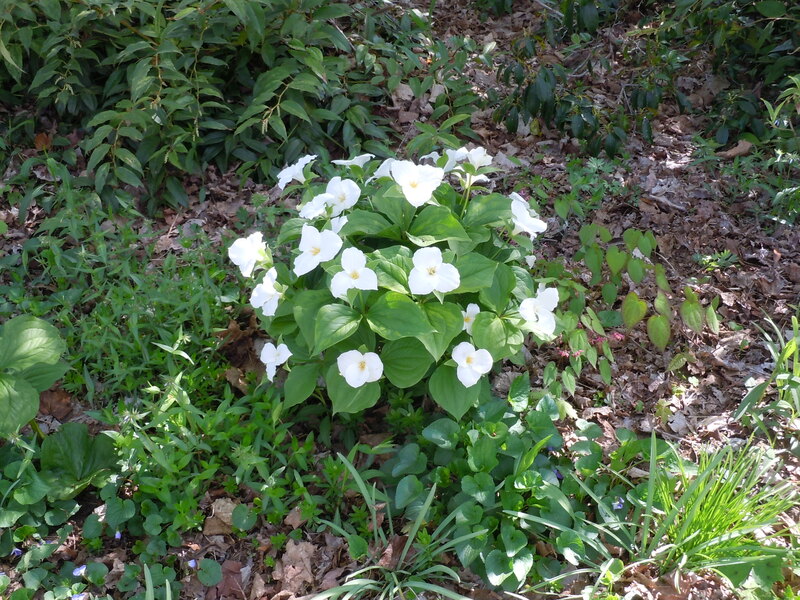 Pauline, I agree about the trillium – it would enhance my wooded area too! I’m so glad garden bloggers share these garden tours. So inspiring! Thank you for sharing – always great to see a visitors take on the gardens that participate in the Open Days program. Hope you get to many this year! Hi Jayne, we’re looking forward to a season of visiting gardens with the NGS Open Gardens scheme. As everything is late this year with the (continuing) bad weather, it’ll be a few weeks before we start heading out an nosying around other peoples’ gardens.